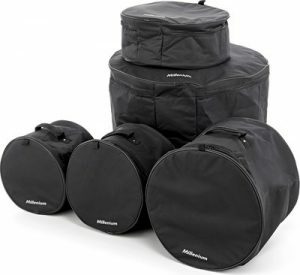 Thank you very much to the Tim Dyde Memorial Fund for funding the purchase of a set of ‘Millenium’ Drum, Cymbal and Stand Bags. 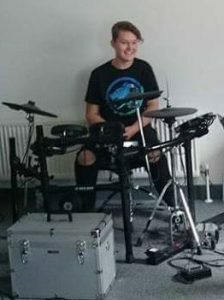 I play drums and have done for the past 2 years. 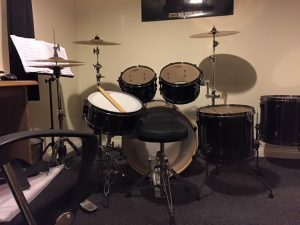 I started playing on an electric kit but due to my Erb’s (left), I found a live kit much easier as I could position the toms in a way that works better for my ability. I have just started a BTec Music course at New College, Durham and have created my own band with some of my new friends to increase our musical ability … ‘The Nasty Bits’. This means I will need to transport my drum kit around to gigs and due to my Erb’s I am unable to carry large drums and cymbals like others would. Drum bags with handles will allow me to carry them easily by myself and not rely on others. Thanks to the ‘Tim Dyde Memorial Fund’ I will now be as independent as possible. 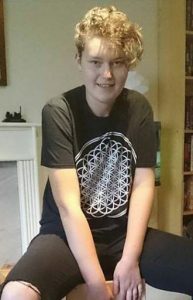 We currently only have a short set list but have had one performance in the college studio but are working hard on other songs and hope to progress to support other bands, possibly at the O2 in Newcastle.